The American Society for Testing and Materials was formed in 1898, founded by Charles B. Dudley, Ph.D., a chemist with the Pennsylvania Railroad. In 2001, we changed our name to ASTM International. ASTM International is a globally recognized leader in the development and delivery of voluntary consensus standards. 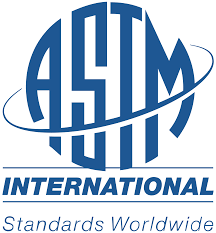 Today, over 12,000 ASTM standards are used around the world to improve product quality, enhance health and safety, strengthen market access and trade, and build consumer confidence.